Are you looking for a reliable removal company in Hastings? Sussex Removals have served the people of Hastings for over 20 years with reliable and well-executed removals. Do you do removals within Hastings only, or can you help me move to another area of the country? We do removals within Hastings, but also help you move out of your home in Hastings to another location in the country. Many of our customers in Hastings choose to move to another area of Sussex, but we can move you anywhere across the country. 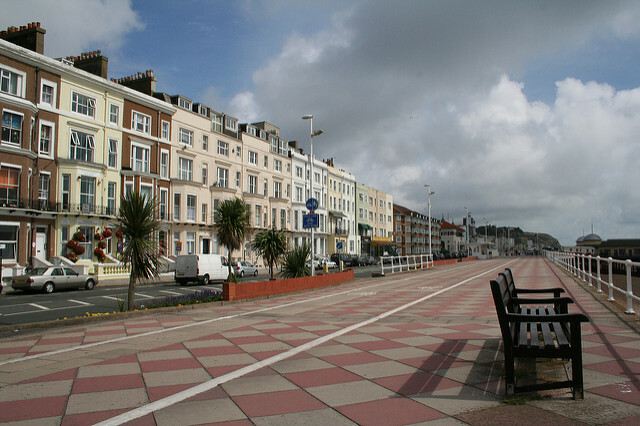 How can Sussex Removals help you with your move to or from Hastings? We offer much more than the simple ‘Man and Van’ service commonly found online. Our services are aimed at making the process as smooth as possible and to ensure the safety of your belongings. We can provide all your moving supplies, such as specialist moving boxes for different purposes, tape and bubble wrap. If you need supplies, we ensure to get them to you well in advance of your moving day. We take great care with delicate possessions and valuables. We offer a full-service removal which means you can sit back and let us do the heavy lifting, or even go about your day as we execute the move. We understand some customers like to oversee the process – this is fine by us. As part of our service we move your belongings into your new home and put your possessions in the rooms of your choice to make life easier. We understand pricing is not a ‘one size fits all’ in removals, so our prices are tailored to your needs, size of home and volume of possessions, as well as how far away your new home is. Can you help me store my belongings? When you are moving home, sometimes you are downsizing and need your belongings to be stored. We cater for this and can make sure your belongings are safe. Hastings is a lovely historic town is East Sussex, which makes for a great home to its over 90,000 inhabitants. Hastings, despite being quaint and peaceful has all the amenities you need, without the pace and high-energy of locations such as Brighton & Hove. Hastings benefits from great rail links to Brighton, London and Ashford, making commuting easier. Many of the people living in Hastings actually commute to London during the week, as it is only 53 miles from London. We’re proud to be a local area company. With over twenty five years’ expertise as well as a number of happy customers, we are able to provide you with a personal, friendly service through the whole moving procedure, to make certain everything goes as easily as you possibly can in the day itself. Working with a removal companies will not mean thinking small; we cover moves to the majority of regions of the UK and most EU states and we are definitely not restricted when it comes to where we are able to take you. We also have vehicles to suit all sizes of move and the Luton style vans which we most commonly use are superb for scenarios with difficult accessibility like narrow roads or tight car parks. We know the region so we understand what’s going to work best. Our customer feedback here at Sussex Removals speaks for itself and is available to be seen on our website, supplying customers with evidence that selecting a smaller company means exceptional service along with a friendly, helpful relationship with the individuals their possessions are being entrusted to. We plan to assist in as many ways as you need and are more than happy to dismantle and reassemble any furniture, provided that this has been consented to in advance as a part of the removal procedure. Similarly we can offer guidance on an individual basis in regards to matters like unpacking drawers prior to the move, and we’ll even help empty your loft, provided it has been boarded satisfactorily and has appropriate access arrangements. We plan to be as adaptable as possible and fulfil each customer’s needs where we can, so for removals in Sussex, Worthing, or anywhere in Brighton, please don’t hesitate to get in touch. We’re proud to state that we’re members of Trustatrader.com, having fulfilled all of the strict standards. We work seven days per week, have a 24-hour dedicated helpline and we give you a complete, comprehensive packaging service as needed. We are able to transfer antiques, priceless articles and musical instruments, and we provide a specialist delicate packaging service for such items. Otherwise, we’re always very happy to guide you should you choose to pack your things yourself and we’ll still supply the packing materials you require. We’re completely insured up to the value of £1,000,000 just in case the worst does occur, but we make every attempt to make sure that it will not come to that. Besides this, unlike other removal companies, we will not add additional costs if your completion is delayed and you cannot move until later in the day. Since you have read a bit about us, we expect you would like to learn more. Why don’t you give us a call on 01273 978278 and we can talk about what you’re looking for? As an alternative, it is possible to ask for a totally free internet estimate via our site, or submit a query through the form on the Contact Us web page. We’ll respond as fast as we can and are pleased to answer any questions. We do possess a strong belief in supplying outstanding customer care and intend to match our customers’ needs wherever we can. Much like everything, it’s best to shop around, but we’re assured that we have the ability to reply to any questions and hopefully, after you have had an opportunity to talk to several removals Sussex companies, national and local, you may determine to return to Sussex Removals.